PARIS, November 8. /TASS/. Monaco’s former Justice Minister Philippe Narmino has been charged with corruption in the process of investigation of a criminal case involving Russian billionaire and owner of the football club Monaco Dmitry Rybolovlev, Europe-1 radio station quoted the prosecutor’s office as saying. Narmino is accused of passive and active influence peddling and passive corruption. Also, he is accused of violating confidentiality of inquiry. On Wednesday, charges in the case were brought against Narmino’s close relatives - his wife Christine and son Antoine. 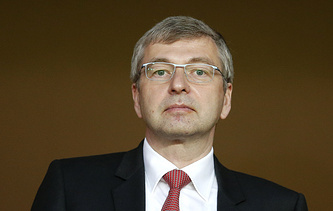 Dmitry Rybolovlev was detained by Monaco’s police for questioning on Tuesday morning. His residence, La Belle Epoque, was searched. Rybolovlev’s attorney Tetiana Bersheda and several senior judicial officials were detained, too, on the suspicion of complicity in corruption. After questioning all those involved, including Narmino’s wife and son, were set free under court supervision. Nice Matin were officially charged with influence peddling, corruption and breach of the confidentiality of inquiry. A year ago the probe into an affair that the French media promptly dubbed Monaco-gate forced the resignation of Monaco’s Justice Minister Philippe Narmino, an influential figure in the principality’s political quarters. Shortly after his resignation he was temporarily remanded in custody. Narmino stepped down as Monaco’s Justice Minister on September 14, 2017. He declared his decision several hours after the publication of a large article in Le Monde claiming that he had received presents from Russian billionaire Dmitry Rybolovlev and spent leisure time at his chalet in Switzerland. As Le Monde and a number of other French periodicals said, the Russian big business tycoon and his entourage put strong pressure on Monaco’s police and investigative authorities with the aim to secure a favorable outcome of Rybolovlev’s litigation with Swiss art dealer Yves Bouvier. The media publications were based on text messages extracted from the mobile phone of Rybolovlev’s lawyer Tetiana Bersheda. Rybolovlev accused Bouvier of groundlessly overcharging the prices of 37 paintings by leading artists of the early 20th century sold to him, thus causing financial losses estimated at about one billion euros. Bouvier argued that there was a "collusion" between Rybolovlev and Monaco’s judiciary for his prompt detention and presentation of formal charges.